One of the most anticipated movie of the year, Marvel's "Avengers: Age of Ultron", partners with the most trusted and known TV brands in the country DEVANT. 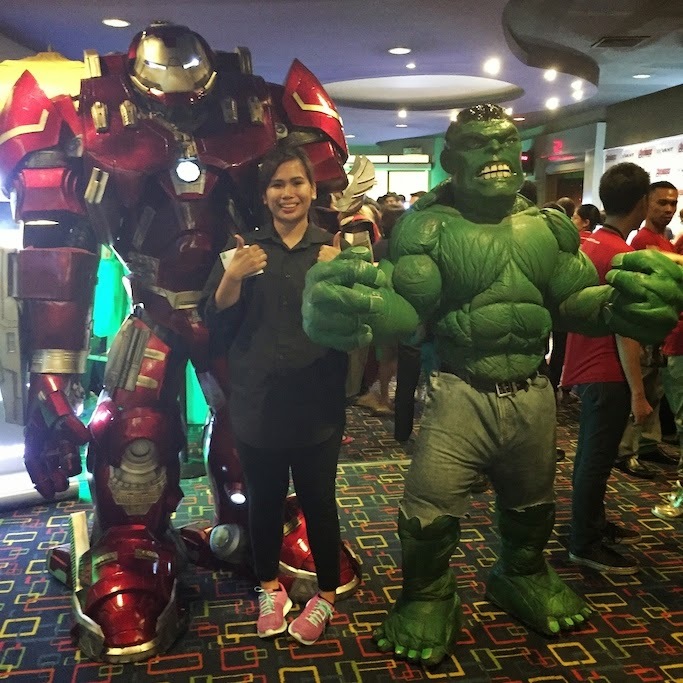 To celebrate the partnership, DEVANT TV had a private block screening of Marvel’s "Avengers: Age of Ultron" in Greenbelt 3 Cinemas last April 23. The event was attended by so much bloggers, media and online influencers along with various DEVANT TV dealers nationwide. It was a success! Posing with Iron Man and the Hulk! So much food and drinks! Jamba Juice and Sumo Sam were there, to name a few! Aside from the movie, the event also showcased the DEVANT TV Collection and its superb features that make it stand out among other TV brands in the market. What is interesting is that each TV represented a character from the Avengers, highlighting special features of DEVANT TVs that will surely boost one’s overall viewing experience. Cool noh! With a great roster of TV collection and the amazing features they offer, DEVANT is indeed a great super hero team just like the Earth's Mightiest Heroes: The Avengers!